Things were hotting up this week, both in the competition and in the hall with the outside temperature hitting 26 degrees. Some familiar faces were missing (Hari, Hari and Daniel McTiernan) but some new ones showed up in the form of hard hitting Henryk Ciechanowicz, and spinner Grant Wheatley. An epic 5-set smash-battle between Roger Woolven-Allen and Trevor Organ, with both players using every inch of the available court, finished with a standing ovation from the audience both in the playing area and the social area. In the main event, in a keenly contested quarter final, Ian Girdler took the first two games over Krassi, who then got into his groove to win the next two games. The match saw some excellent table tennis between the pair with rapid counter-topspin rallies using every inch of the table. Ian regained the upper hand and finished 11-9 in the fifth. It's all change at the top of the table, with Ian Girdler edging Hari Gehlot into second place and Yeqin Zeng climbing back up to third. Daniel Moses currently sits in 13th place, after playing only 2 events, but is definitely one to watch out for. For more photos of the event, view our Gallery. Kingfisher Grand Prix runs for 12 consecutive weeks from Monday 18 May. · Entrants must register on the night by 7:30pm. · 50p entry fee per week payable on the night. · Straight knock out competition with a random draw each round. · Consolation event for first match losers, so everyone is guaranteed at least two matches. · Points system for both winners and losers. · Weekly league tables and regular write-ups. · Losing players to umpire. · Prizes for various categories of members. · Friendly atmosphere with nibbles for all. Kingfisher Table Tennis Club is located to the East of Reading in Woodley. 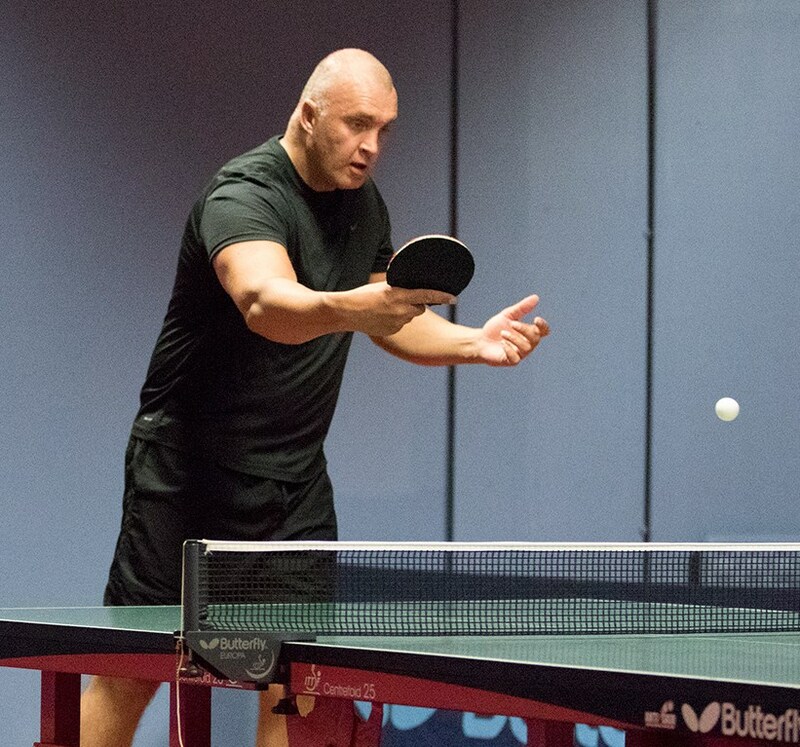 The purpose built building provides a modern full-time facility dedicated to the sport of Table Tennis. 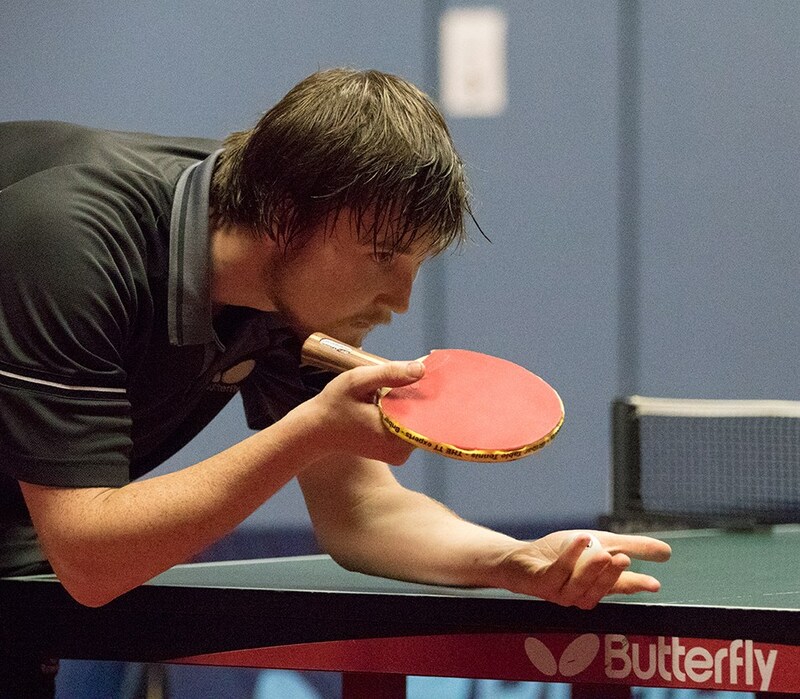 As a Table Tennis England PremierClub with 4 star rating and Clubmark accreditation, we are committed to the development of table tennis in our locality and to providing an extensive schedule of activities for our members. Website powered by Table Tennis 365.